Sue Rice has worked in the aviation industry for 43 years and was operational cabin crew for 24 years. She has represented Australia at ICAO on the Unruly Passengers Study Group. Something significant is happening, albeit slowly, in airline transport. Some Australian airlines are more consistently ensuring passengers comply with in-cabin baggage restrictions. A number of Australian airlines have publicly expressed the importance of passenger compliance with these restrictions. The regulatory requirement has not changed—CAO 20.16.3.9—Stowage of Loose Articles: ‘9.3 All solid articles shall be placed in approved stowage at all times when seat belts are required to be worn in accordance with paragraph 4.1’, but it appears to be being taken more seriously. In the United Kingdom, low cost carrier Flybe made few friends this year with its ‘zero-tolerance’ policy on exceeding cabin baggage restrictions. But the way it was handled was anything but perfect. Newspaper reports featured indignant passengers complaining of ‘extortionate’ fees and being charged on return flights for bags that had travelled free on the outbound journey. And a passenger complained bitterly in print when his PlayStation was, he said, damaged after having to be checked in. On 28 February this year, a Flybe Embraer 195 was lined up for departure at Exeter, in southern England, and was waiting for take-off clearance when there was a loud bang followed by haze developing in the cabin. The crew initiated an emergency evacuation of the aircraft via the slides, which took place without any injuries. The British Air Accidents Investigation Board is yet to report, but it is notable that, unlike several other recent videoed evacuations, there were no cabin bags littering the runway in footage of the incident. It was, under the circumstances, a good result. Cabin baggage has long been the bane of cabin crews’ life. In the past, cabin crew have struggled to physically ensure all loose objects within the cabin are secured for take-off and landing—and made no friends in the process. 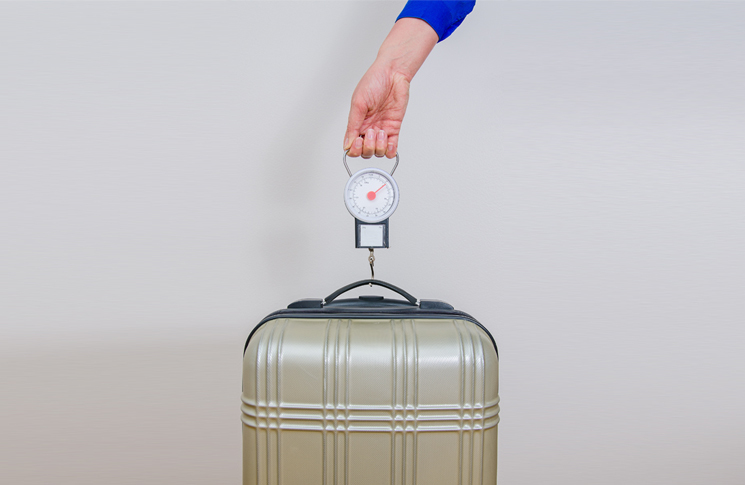 Getting serious about unstowed or overweight cabin baggage has the potential to cause enormous emotional stress and in many cases physical stress resulting in injury. When a passenger is relieved of their in-cabin baggage before boarding, and sometimes after having boarded, the bags are stowed either in the cabin or in the hold. The result can be hostility and poor behaviour directed at cabin crew by upset passengers. Reloading the bags can cause a delay in departure, which may then incur a financial penalty. Why would any airline allow this practice to continue for years? The ongoing confrontation associated with in-cabin baggage monitoring often results in inconsistency surrounding implementation of the airline policy. It also sends conflicting messages to the travelling public about the role of cabin crew. Are they safety professionals or service professionals? In fact, they are both, but allowing a non-compliant bag onboard suggest service comes first, while rejecting it sends the safety-first message, sometimes at cost to the passengers’ feelings and wallet. There has to be a better way. 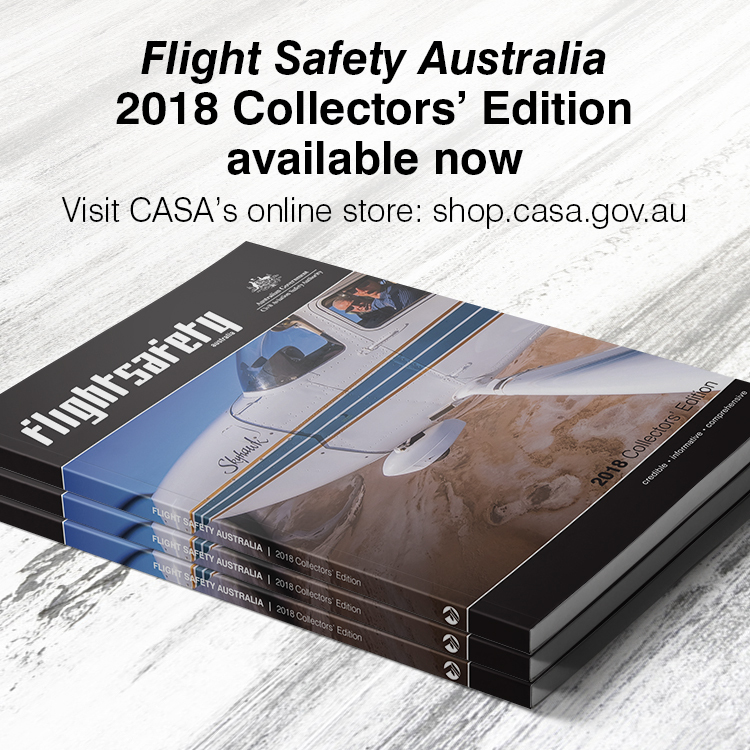 There are positive indications regional airlines in Australia who operate turboprop and small jet aircraft have succeeded in implementing effective in-cabin baggage control systems and processes. With airline operator commitment, passengers have been educated in the importance of following airline procedures and as a result willingly comply with a streamlined process. All passengers were given a postcard with their boarding passes and any passengers who had cabin bags found to be overweight were given a bag tag. Passengers whose bags were compliant were given jelly beans—a small reward. The operator found its overweight cabin baggage ratio fell from 75 per cent of bags weighed to 20 per cent. However, it would appear that the larger the aircraft the greater the problem with managing in-cabin baggage. Domestically in this country, for a vast majority of cabin crew, the prospect of boarding passengers through the door at the aerobridge for departure, is not a pleasant one. It invariably holds the prospect of conflict. It appears that passengers for the most part follow cabin crew directions in securing all loose objects within the cabin. However, in some cases, an apparent attitude of being above the necessity for compliance creates difficult and uncomfortable encounters for the crew. Stowing/securing a bag is a big deal, in light of the damage or injury an unsecured bag can cause to an adult, a child or an infant. On a sour note are anecdotal reports of a widely known and accepted practice. After an unpleasant event prior to boarding or once on board where a passenger is reluctant to be relieved of their oversize, overweight bag, or to secure their baggage, the passenger will complain to the airline customer service area. Invariably, rather than seek to find the root cause of the problem, the airline will ‘reward’ this customer in order to maintain their ongoing business. In a nutshell: poor behaviour is rewarded. This then will embolden the individual who then feels empowered to repeat that same behaviour. This is in no way meant to imply that all members of the travelling public behave badly, far from it. However, they are out there and growing in numbers. On a great positive—there are airline operators that have policies supportive of all staff who are following documented policies and procedures—an assertive way forward for passengers and cabin crew that will result in far less stress prior to departure. So where to from here? For some cabin crew within some airline operators in Australia there is a feeling of isolation. Industry and the travelling public need consistency. Cabin crew, together with supportive ground staff, face the ongoing challenges associated with this topic of in-cabin baggage and by doing so continue to commit to the safety of their passengers. CASA has produced a cabin safety animated video Bean Safe that features colourful ‘jelly bean’ characters who demonstrate some of the key safety issues for passengers including the topic of in-cabin baggage. When you have grubby Airlines that are out to fleece all passengers of their money at every corner it’s any wonder we have situations like this. Reducing the bags from 10 to 7kg in recent times showed that the thug Airlines are the real nasty problems! LCC’s are the worst of the bunch! The size of the article has nothing to do with this regulation. Airlines are completely free to charge what they want for carrying baggage. This matter relates to the safety issue of “solid articles” carried within the cabin of an aircraft. Isn’t this precisely the hostile aggressive attitude that causes confrontation about bags? The “I’ll bring on whatever I want and shout at anyone who objects” approach? Is this not the law? (CAO 20.16.3.9—Stowage of Loose Articles: ‘9.3 All solid articles shall be placed in approved stowage at all times when seat belts are required to be worn in accordance with paragraph 4.1’), and if it is, why is it not being enforced, strictly, by all airlines, all the time? I was under the impression that the word “shall” offered no options. Should CASA be doing more to ensure this is happening? And if not, why not? Safety before economics, or what? Proper enforcement of the cabin baggage rules starting at ticketing, then check in, followed up before boarding and (hopefully not required) by cabin crew would make boarding a much less stressful process. No need to join a scrum to get on board first to secure the scarce overhead bin space. Probably a plus for most passengers, certainly a plus for safety and the rest will need to get used to it. It should be taken out of the hands of the airlines who like the banks in so many respects, are focusing on opportunities for profit. Flight Crew are on the receiving end of such extortion, management know it but don’t care. Regulations should insist that if there is capacity for 100 pax’s then there is space for 100 ‘overhead locker’ size cases at 12kg each & also a small compartment wholly under the seat to completetly contain handbags etc so that emergency exiting is not complicated or delayed. It should be standardised by ICAO .. everything else goes in the hold and in which case, all bags are totalled for weight and any extra charges. Lifting 7kg over your head to put it in the locker is enough of a risk, let alone 12kgs…but then expecting the cabin crew to push closed a locker containing 3 or 4 such bags (36-48kg total) is an unacceptable workplace injury. Shoulder & rotator cuff injuries are rife already. You’re having a lend of us aren’t you :) If the plane is full of such snow-flakes, the weight and size of the baggage will be the least of the problems. Get a few defibrillator .. and please tell me you’re not the OH&S rep? Maybe we fix the situation, by banning cabin luggage totally,as in if you can’t fit in in your pocket,or shoulder bag,it goes in the hold with a tag on it,If you require any different,well you pay for it. If passengers won’t abide by the luggage regulations well they deserve to be penalised., That would also sort out the choas when passengers want to take their possessions in case of an emergengy evacuation.If you want to bring it onboard,and something happens,be prepared to lose it,Safey first always,then personal satisfaction if there is time,or operationally feasible,without compromising safety.